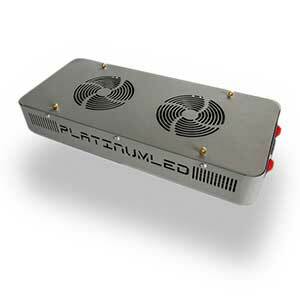 Home » Platinum LED Review: Are These LEDs Worth The Money? 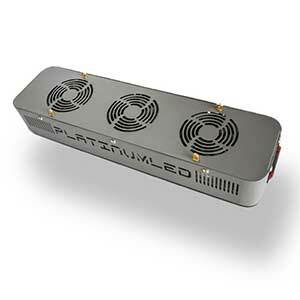 Platinum LED Review: Are These LEDs Worth The Money? With the explosion of hydroponics, indoor growing, and the LED grow light industry, it’s no surprise that there are a ton of companies in the market right now. 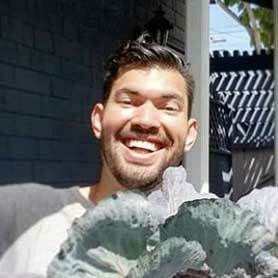 It’s a bit overwhelming to sort through all of these companies popping up and determine which are the best ones for your particular needs in the garden. 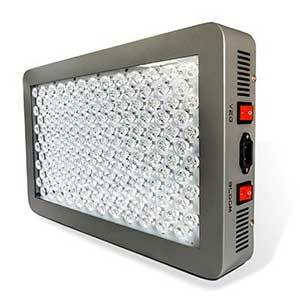 So, I’ve decided to go deep and review some of the most popular LED grow light companies on the market. Today’s review is for Platinum LED, an American LED Grow Light company targeted towards the high end market and based in Kailua, Hawaii. …and much more. Let’s get into it. While their prices are certainly very high they justify this by offering a mixture of 3 watts Diodes, all of them 12 or 14 band LEDS. 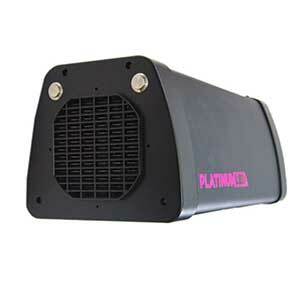 This is the “secret” to Platinum LED, combining an optimal blend of 12 and 14 different bands all the way from the depths of UV to the upper IR, and many other features. 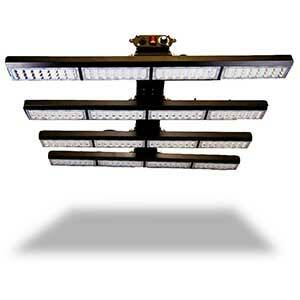 They seem to offer a grow light for every need. On top of that, the offer a 90 day refund policy and 5 year warranty. 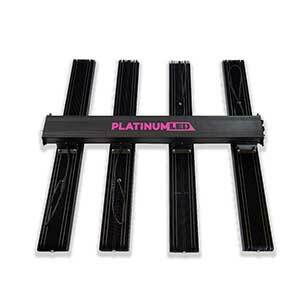 For most growers, the Platinum Series line is going to be the best choice. Within the line, the P150, P300, and P450 are the best options. 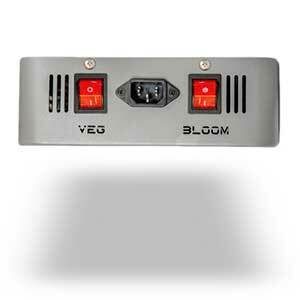 Which you choose depends on how much power you need and how much space you need to cover in your growing room. For a more complete understanding of how to evaluate a light, check out my full guide to indoor grow lights. 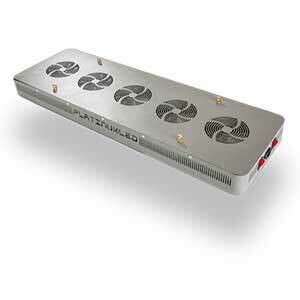 Platinum LED Grow Lights is an American Company that’s based in Kailua, Hawaii. 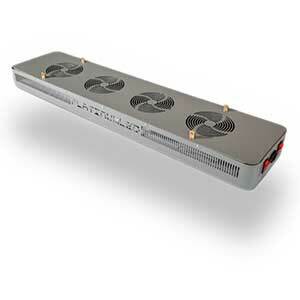 They currently have warehouses in located in California, for faster shipping and servicing. 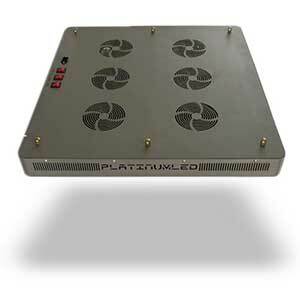 …Thanks to our proprietary combination of ultra-efficient drivers and top bin US made diodes, PlatinumLED grow lights have the highest PAR per watt of any other LED grow light available today! 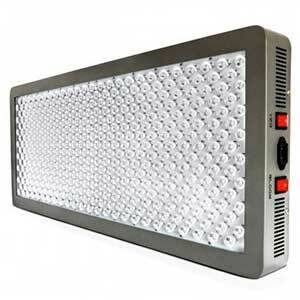 Our LED grow lights produce the highest amount of PAR per watts consumed… even more than those that may cost 2x more. 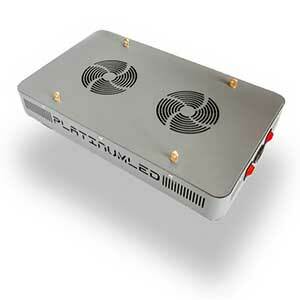 With PlatinumLED, you’re assured the maximum growing power for the energy that you’re consuming. 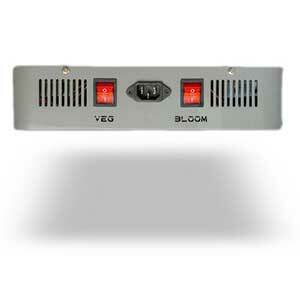 This not only saves you money, but produces maximum yield and results far above other brands. But whether their grow lights are as powerful as they claim, with such a low power consumption or whether they justify such a highly premium price is up to debate. 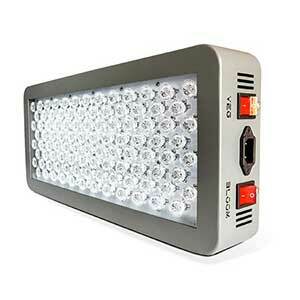 Platinum Series LED Lights use 3w high output LEDs from makers such as US made CREE, Bridgelux and Epistar. Which, according to them, further ensures the brightest and, most complete spectrum possible. They’re also coupled with top quality LED drivers set at a static 650mA output, for stability, for a guaranteed lifespan around the 50,000 hour range. Their grow lights utilize LEDs that provide either 12 or 14 spectrum bands in order to achieve maximum photosynthesis and yields. 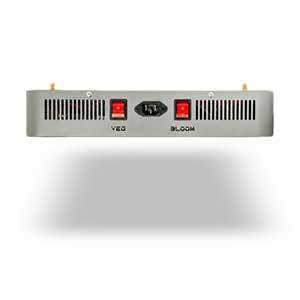 In addition, each one of their diodes is fully Zener protected to help guard against unwanted line surges. They use propietary 90 degree secondary focusing lenses on all of their grow lights in order to help collect and focus the light deep within the plant canopy. This helps to maximize the light energy that is transferred to the leaf surface. They make sure your grow lights are protected by utilizing auto-switching 110v/220v LED drivers to deliver maximum output with maximum efficacy. Their drivers are also fully adaptable to any global voltage input – huge if you’re an international grower. 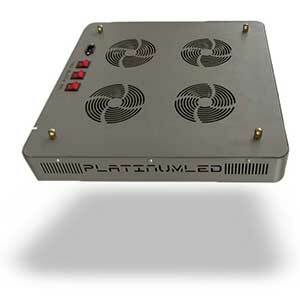 Platinum LED Grow lights all come with a 5 Year Warranty and 90 day satisfaction guarantee, even if they’re purchased through Amazon, which is pretty huge if you ask me. Compared to some other LED companies I’ve reviewed, this is one of the stronger warranty structures that I’ve seen in the space. If you want to read their entire warranty policy in detail, click here. 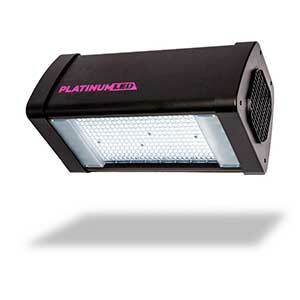 These are Platinum LED’s most affordable and simple option. Featuring a mixture of 12 band Epistar and Bridgelux 3w Diodes, Spectrum mixing, Veg & Flower & Mixed setting, Active cooling and adaptable power settings, they come ready to rock any small space. 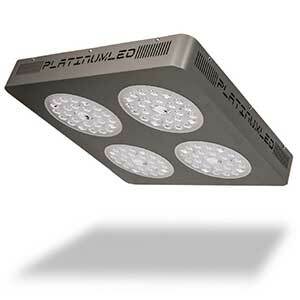 The P4-XML2 was created to provide maximum yield and coverage with a single light in a 3’x3′ grow space. 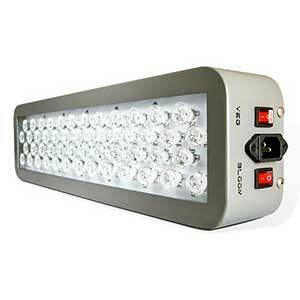 By combining their proven 12-band spectrum with 2x CREE XM-L2 10w booster LEDs in each cluster. 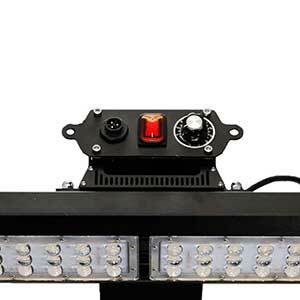 All of their XML2 series lights feature their proprietary focusing lens system consisting of an ultra-high dispersion 120 degree convex focusing lenses for the 10w CREE XM-L2 LEDs. They also feature 3 separate controls for VEG, BLOOM and BOOST for the XM-L2 control. 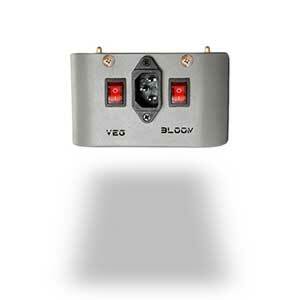 This gives the ability to use the light all the way from seedling to final flower and harvest by manipulating the spectral output while the added BOOST switch may be added in at any time for an additional punch or to simply use the white light as needed for grow room visibility. 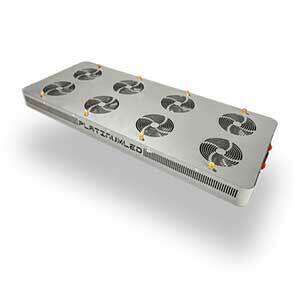 Aimed at replacing a single 1000W HPS grow light, The G720 apparently does so while only consuming 422 watts of power. The G720 is ideal as supplemental light for commercial greenhouses, with an IP65 water resistant rating, and a large coverage area. 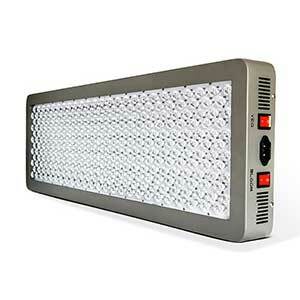 The R1150 aims at effectively replacing a conventional 1500w HPS grow light while only consuming 725 watts of actual power. The R1150 is ideal for commercial rack and warehouse grow operations, with an IP65 water resistant rating, and a large coverage area. 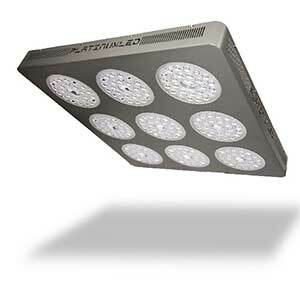 The Platinum LED R1150 is also dimmable allowing you to give the amount of PAR your plants need at every stage of their lifecycle. Effective up to a coverage of 5’ x 5’ during flowering. The R1150s powerful PAR intensity and spectrum efficiency will result in larger yields. 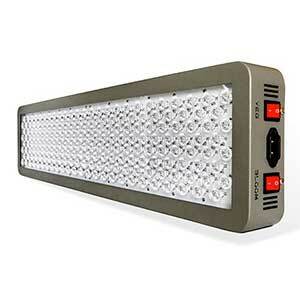 Platinum LED lights are garbage over rated and just junk 5 year warranty is fake lights made with cheap components. Works good for 6 months then breaks gets noisy and over heats. Appreciate the feedback on them, Thomas! They’re definitely not at the high-end of the LED market.